There’s a lot visitors can do at Arden Hills Resort and Spa. After a workout in the gigantic sports and fitness facilities, a girl can get a spa treatment, have her hair done, have a great meal, get married and stay overnight in a palatial villa. 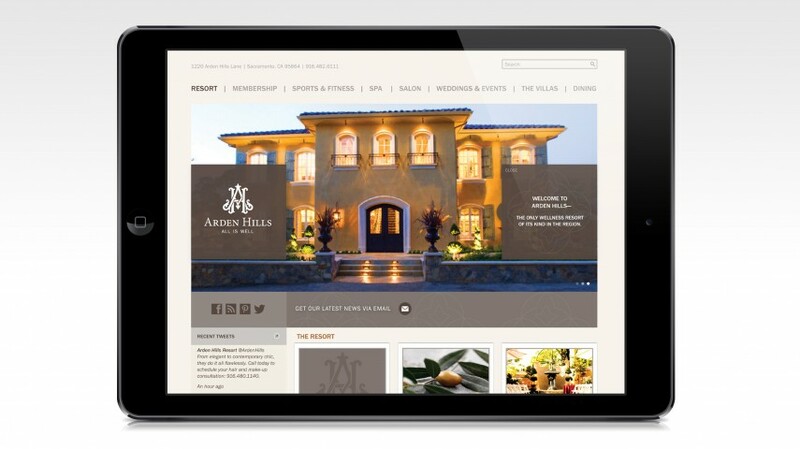 Arden Hills asked us to help whip its web presence into shape. We took all these elements and developed a website featuring imagery and usability reflective of the immersive spa experience Arden Hills provides. Learn more about our web development services, contact us today.